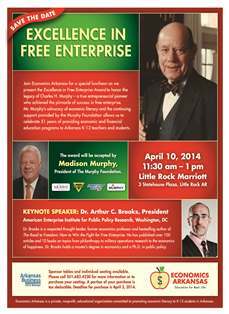 Please join us for the Excellence in Free Enterprise Awards Luncheon on April 10 to honor the legacy of Arkansas entrepreneur Charles H. Murphy. Professionally framed art work by El Dorado middle school students will be presented to the Murphy family in recognition of Murphy Oil Corporation, Murphy USA and Deltic Timber Corporation. 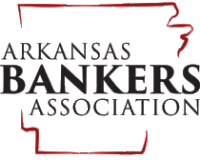 Arthur Brooks, Ph.D., president of the American Enterprise Institute for Public Policy Research in Washington, D.C. will deliver the keynote address. Individual seats and sponsorships are available. Sponsorship benefits range from VIP seating to invitations to the VIP morning reception to the inclusion of company logo in media advertisements and at the event. Click here for an order form.